Living in the heart of the Northeastern United States has its advantages. There is rich history, dating back to the discovery of America and the foundation of the nation. Within two hours along great, twisty roads, is gorgeous countryside, the Atlantic ocean, a variety of mountains, and major cities. From rural to urban, the options are unlimited. Except for the weather. The weather is awful. There is some beautiful riding weather in the spring and autumn, but a very large chunk of the year is spent contending with falling water—liquid or solid. The summers are humid and hot, and the winters are long and frigid. The desire for winter to end and spring to begin starts in early February. Even though it tends to be one of the colder months, the cabin fever gets oppressive and it can lead to some questionable decisions. Like, heading to Florida to check out Bike Week. 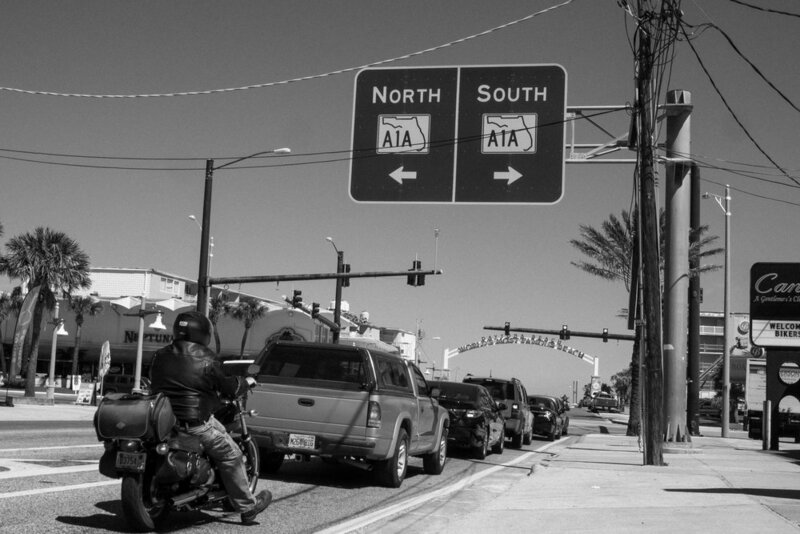 When I originally had the idea of taking the Bonneville 950 miles south to Florida, winter had just begun. March was still far enough away that it seemed impossible winter wouldn’t be over by then. Nevertheless, I quickly decided that a straight run down the coast was not a good idea. Leaving the Northeast for the Mid-Atlantic states, there is a long stretch that is heavy on interstate miles and light on interesting places to stop and refuel. Moreover, even enduring 350 mile days in the saddle, it would take multiple days to ride down and back. As much as I like to ride, the view of Interstate 95 for unending miles is a recipe to give up motorcycles. So, the better plan was to take the Amtrak Auto Train to cut off the boring miles. The Auto Train is an aberration in America’s very limited rail system. Running between Lorton, Virginia, and Sanford, Florida, Amtrak puts cars and motorbikes in railcars, and you sit on the train for 855 miles instead of on the highway. 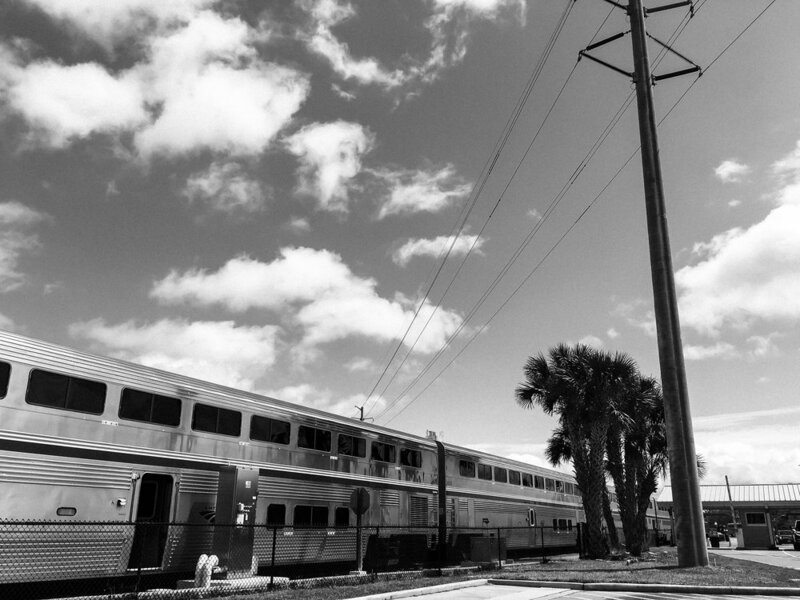 The Lorton to Sanford run is, bizarrely, the only Auto Train in the country. On a good day, Lorton is about 4.5 hours away from where I live. From Sanford to Daytona is about an hour. The train ride is 17 hours. With boarding and unloading, it’s about 20 hours total. Considering that a straight ride from here to Florida would take about three days, it’s an appealing idea. Two days before I left, it was 72 degrees, clear, sunny, and I took the opportunity to pull the front brake off the Bonneville and grease up some squeaks that were driving me insane. Not quite t-shirt weather, but it felt like an early Spring. When the Thursday of my departure rolled around, however, it had dropped to below 40 degrees and was a mix of sleet and rain. Because of the timing of the train and the uncertainties of the weather, I had made prior arrangements to stay with family for the night in Washington, D.C. From here to there was five hours of miserable weather. I was layered in a t-shirt, a thermal shirt, a sweatshirt, a waxed cotton motorcycle jacket with a liner, and then a rain jacket on top of that. Under Goretex motorcycle pants I had on thermals, and over my boots I had rubber rain covers. My winter gloves had the rain fly deployed, as well. Nevertheless, two hours in I was shivering so bad my knees were knocking the tank. Every gas stop just meant wet hands going into the gloves, making everything colder. The rain made it impossible to see anything, much less navigate, and made me even more a firm believer that Bluetooth in the helmet is a miracle of technology. It was a hellish ride. The morning of the train departure wasn’t much better. I did pull the rain covers off the boots, but it was still drizzling enough and cold enough that I had to layer up again for the hour ride to the train station. The AutoTrain is a fairly efficient operation. Tickets are sold in advance, so they know you’re coming. When you pull up to the booth at the entrance, each vehicle gets a number. Employees then stage the vehicles and eventually drive them on to two-level fright cars. Motorbikes are put on trailers, and then loaded between the cars. After the vehicles are loaded, passengers board. The process takes about two hours. Specifically, bikes are directed to a loading ramp. Directed by an Amtrak employee, you ride your bike onto a trailer and into a wheel chock. You stay on the bike while it is strapped firmly down. Afterwards, you sign something that basically says whatever is on the bike isn’t Amtrak’s problem. The trailers are designed to fit three bikes, side by side. Since they’re universal, they’re sized for large Harleys with hard luggage. There was no issue with having big luggage on my Bonneville. For the trip down, I took the Kriega off and bungied my helmet onto the seat, leaving the saddlebags on the bike. On the way back I did the same, but kept my helmet with me because there is plenty of luggage space in the passenger cars. The train ride was the standard formula you would find on a transatlantic flight: get everyone settled; serve a sketchy dinner; shut the lights out; and drop the temperature to the “cryogenic” setting to induce unconsciousness. The progress was steady. There was one stop in Florence, South Carolina, for a shift change, but otherwise the journey was a steady 50 mph. We arrived early into Florida. It was blissfully clear and warm, and I was finally able to shed some layers. After about an hour and a half, the bike came off the train. With clear and warm weather, the remainder of the ride was pleasantly uneventful, though Florida highways are like raceways. The first leg of the ride was on a five lane stretch of about 80 miles. (That’s five lanes in one direction—10 total.) Traffic was very fast. 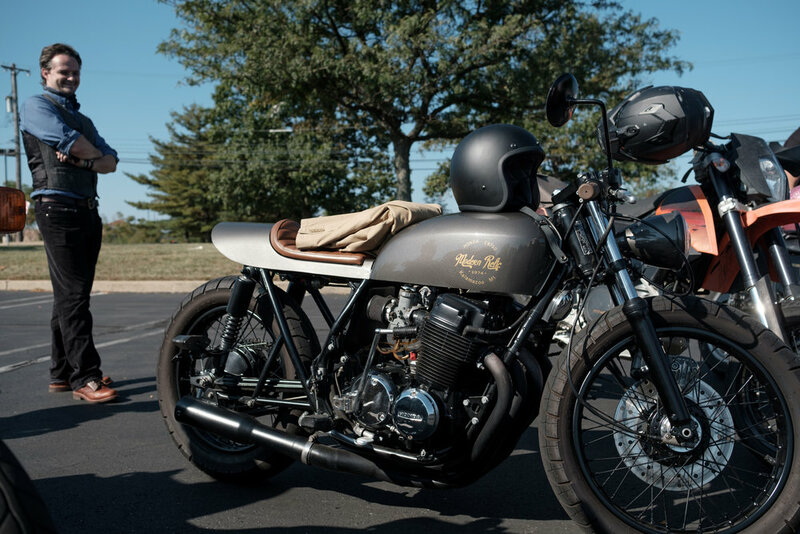 While the Bonneville can do the ton, she was loaded with quite a lot of weight, which always makes high speed riding interesting. 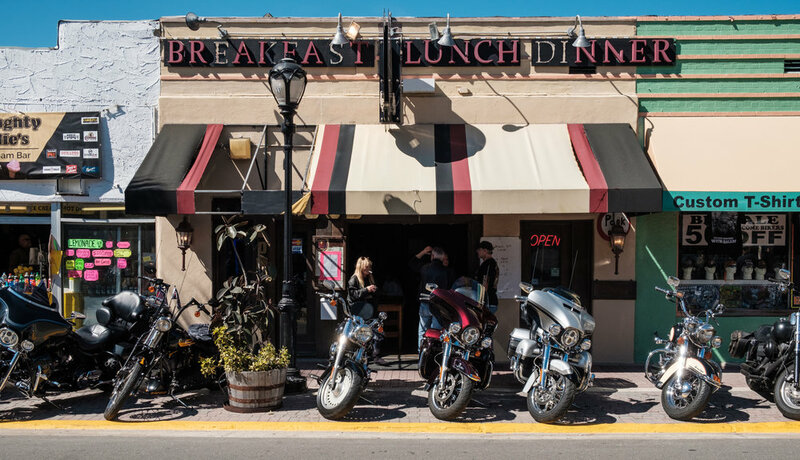 While it was a snowing in the north, I got an early jump on the riding season by zipping around Florida. There were the occasional days of rain, but most days were dry, with cool temps in the morning and heat in the afternoon. Such was my time at Bike Week. It’s also a more difficult event to attend simply because of the numbers of people. Parking is difficult and sparse, and Daytona Beach is a small venue. The streets are packed, and the crowds can get oppressive. It was oftentimes difficult to get any view of things other than the backs of heads on a sidewalk. There are shops and kiosks, lots of live music, and rivers of beer. 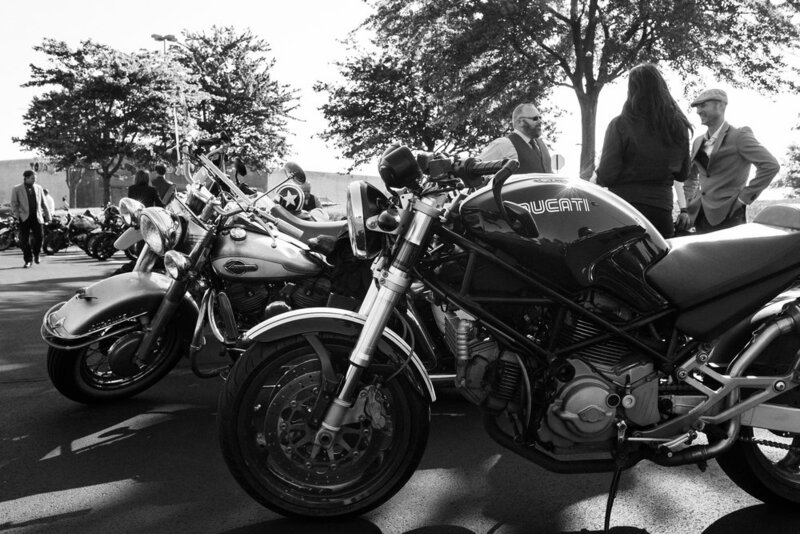 But the focus is more on relaxation and entertainment than the activities of an event like Wheels & Waves. All that said, it was an interesting event to witness. From the scantily clad, to the Vietnam Vets, to the woman trying to save souls, it’s a unique event. And whenever you need a break from the crowds, the beach is, literally, right there. 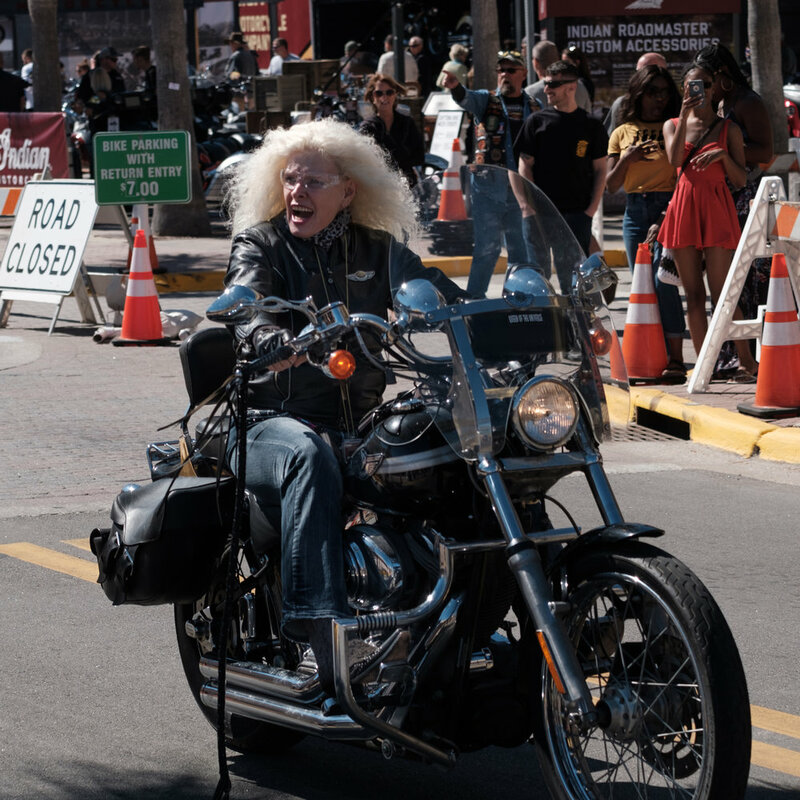 If you find yourself in Florida in March, Bike Week should be on your list. Whether you head to Bike Week or just want a change of scene, I can recommend the Auto Train as a viable option if you happen to live in the Northeast. Although Lorton, Virginia is not the most convenient station to reach, it still beats adding 855 miles of superslab to a trip. 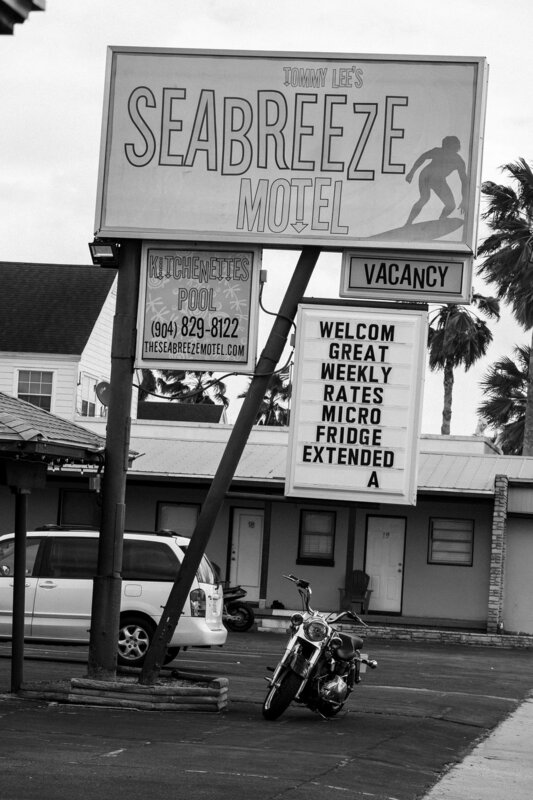 It’s far cheaper than the hotels and additional gasoline, and you arrive with in Florida with a full day of riding ahead. Sometimes the journey on which a motorbike takes you doesn’t involve a road at all. Such was the winding path that took me 3,500 miles to the Ace Cafe in London. The origin of this path was far closer to home. 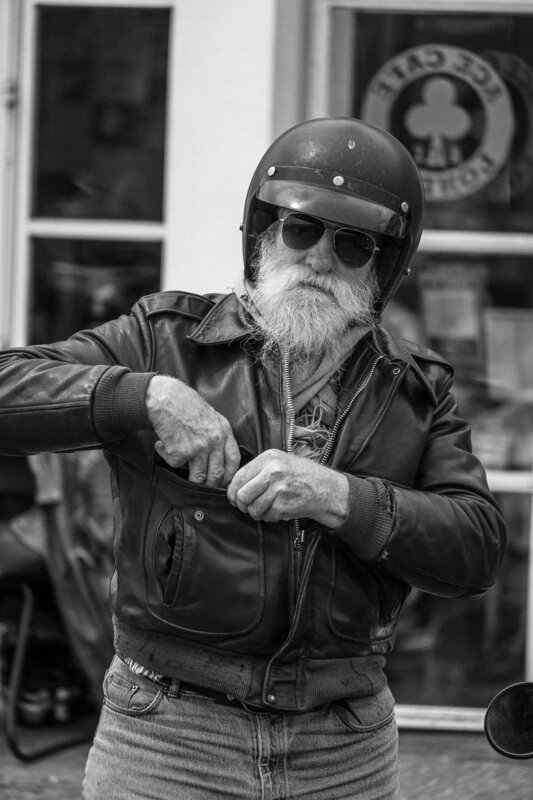 Specifically, Wildwood, New Jersey, which is the site for The Race of Gentlemen (affectionately known as TROG). 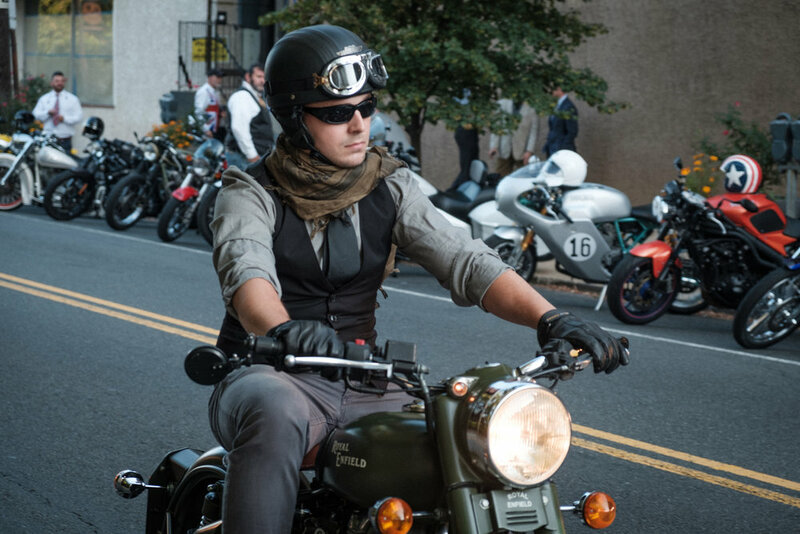 I’ve been covering TROG for several years, documenting the unique gathering of people who are dedicated to keeping American values alive through their interpretation of pre-World War II motorcycles, cars, and fashion. The stories I’ve created from TROG have led to a series of collections in magazine and book form, and have been very popular in social media. One person who purchased a collection of TROG images was Paul Hayes-Watkins, at the time the Art Director for Saga Magazine—Britain’s largest circulation print magazine. Viewing the collection, Paul decided to run a photo story for the July 2017 issue of Saga Magazine, using nine images and copy I had written. The process was easy and great, and I enjoyed getting to know Paul through our emails. It was a fantastic use of images, and a great business experience. The nature of magazines is such that there’s a lead time before publication, so my work with Paul started in May 2017. In June, I set off for a five-week expedition of assignments which took me to France, Spain, Morocco, Italy, and England. Because I had a few days at the end of my journey, I contacted Paul to see if it would be possible for us to put faces to names over dinner. Paul and his partner Katy went beyond any expectations and instead invited me to stay with them at their home in the countryside of Kent. Paul even picked me up at Gatwick airport, which is where our adventure began. As is my preference, my visit with Paul dropped me straight into his daily life. There’s no better way to know a person or a place than to become part of the natural rhythm, and there’s no better opportunity for unexpected adventure than to let it just take you along. Such was the case on the Saturday that Paul had to move his son to an apartment in London. We started off the morning by renting a van. The loading was handled in short order, and we wound our way into the city, getting a slow motion view of south London. Unloading was just as quick, and Paul and I were left with a full day and a rented white van. Having lived for many years in London, Paul offered several great options for how to spend the rest of the day touring London. But during our discussions it emerged that he had never been to the Ace Cafe. 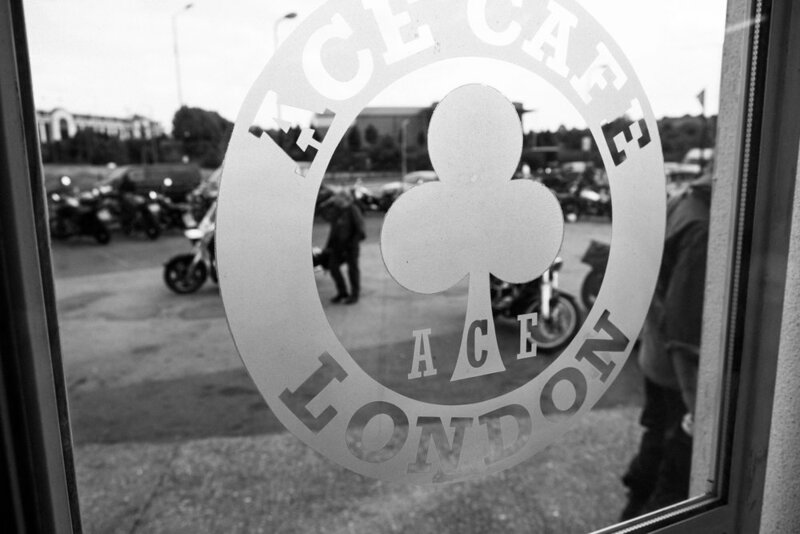 In motorbike culture, few places are as much a touchstone as the Ace Cafe. Opened in 1938, it served 24 hours a day and originally catered to industrial traffic off the newly opened North Circular Road. 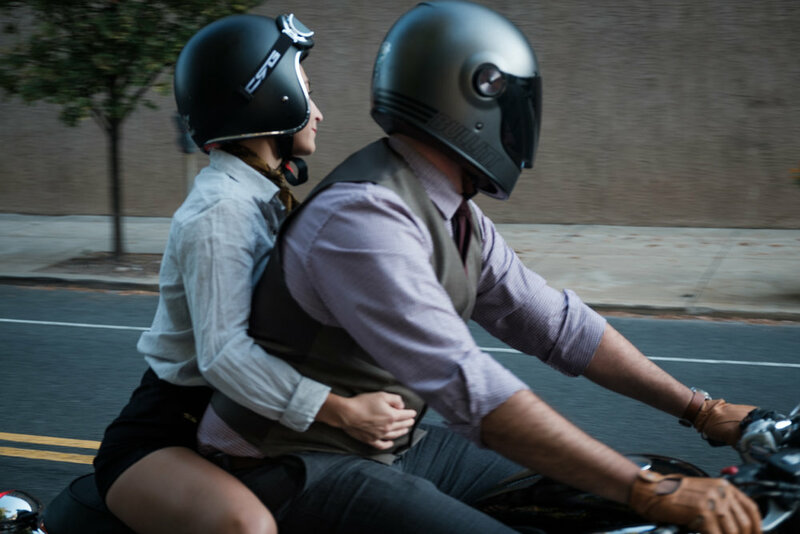 The post-war boom in the popularity of motorcycles soon made it a popular destination for bikers—notably the Ton Up Boys in the 1950’s, and the Rockers in the 1960’s. Bands performed live, biker gangs met, and its jukebox became the basis for street racing—drop a coin, jump on your bike, and make it to a predetermined spot and back before the song ended. 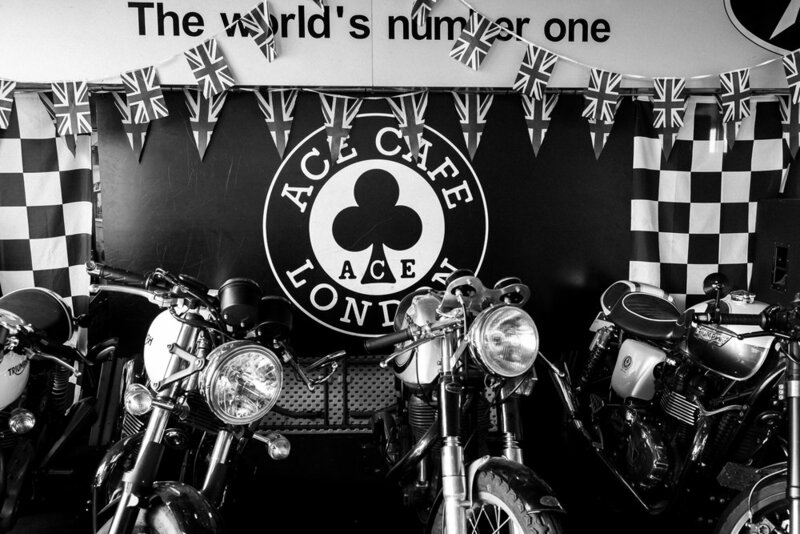 The Ace Cafe defined urban biker culture, and its influence is still strong among those whose hearts thump for Triumph, BSA, Norton, Vincent, and other great British motorcycle icons. Making our way through the city from the south, we rolled up to Ace in “two guys in a van” style, and immediately decided to park further away and walk a bit. Despite having been bombed by the Germans in World War II, and shut down and gutted in the 70’s, the refurbished Ace has all the glory of the original. We ordered up plates of decidedly cafe food, bought some t-shirts, and spent some quality time looking at the people and the bikes, soaking up a bit of history. As a fan and rider of British bikes, it was an awesome experience, made more awesome by getting to share it with Paul. My adventures with Paul cemented our friendship, but little did I know what a role they would play in his life. Although the Ace Cafe was an extraordinary experience for this fan of British biker culture, the effect was apparently transformative to Paul. 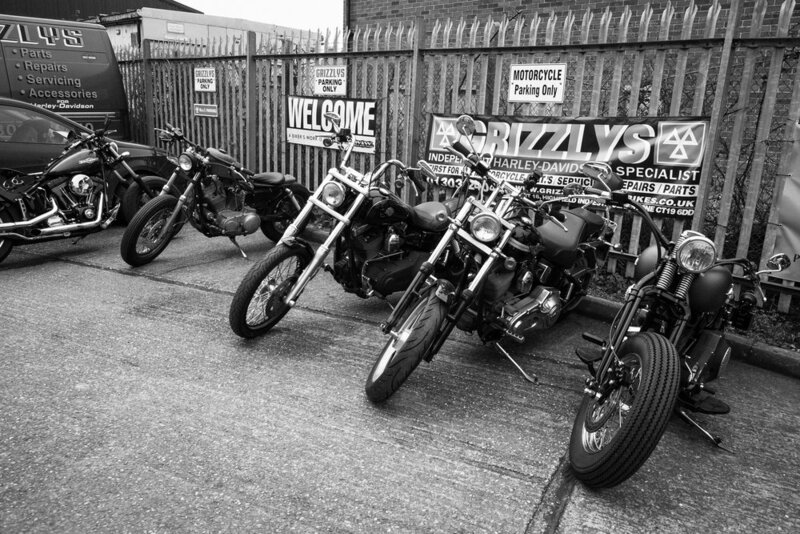 For just a few short months later, Paul went from major-magazine Art Director to the owner and proprietor of Grizzly’s Custom Bike shop in Folkestone, Kent. I had the good fortune to visit Paul at his shop, meet his mechanics, and see the remarkable transformations that are underway. Bringing the story to a complete circle, Paul has featured in his shop dozens of prints of my work from The Race of Gentlemen. Indeed an Ace Saga, this true story proves once again that the journey is an unknown, but excellent, destination. Follow Paul's adventure on Facebook! Contemplative Paul in his shop, with TROG pictures ready to hang. 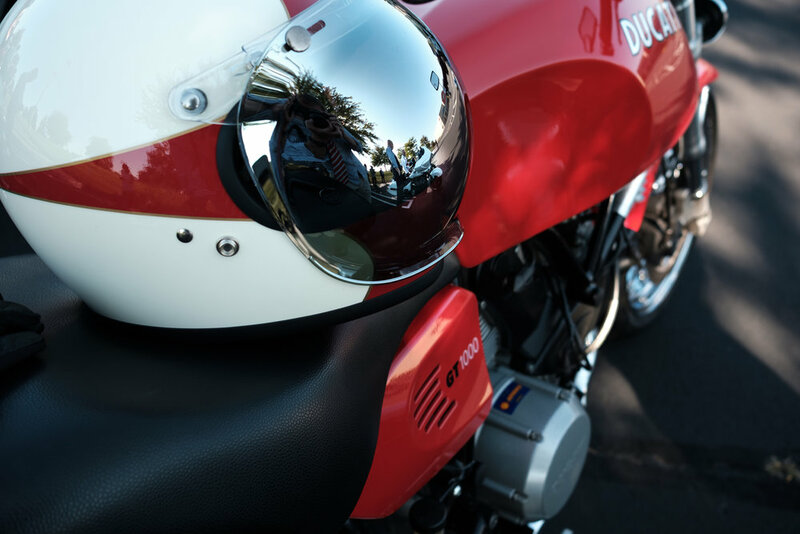 We pointed the Triumph southwest for an autumn weekend in the heart of Pennsylvania’s agricultural country. In a relatively compact geographic area, Pennsylvania produces more than $38 billion in food products every year. (That’s as much as Bolivia’s entire GDP.) Of these, corn and cows are at the top. Massive farm production means lots and lots (and lots) of well-maintained, two-lane roads. These roads are an absolute maze. 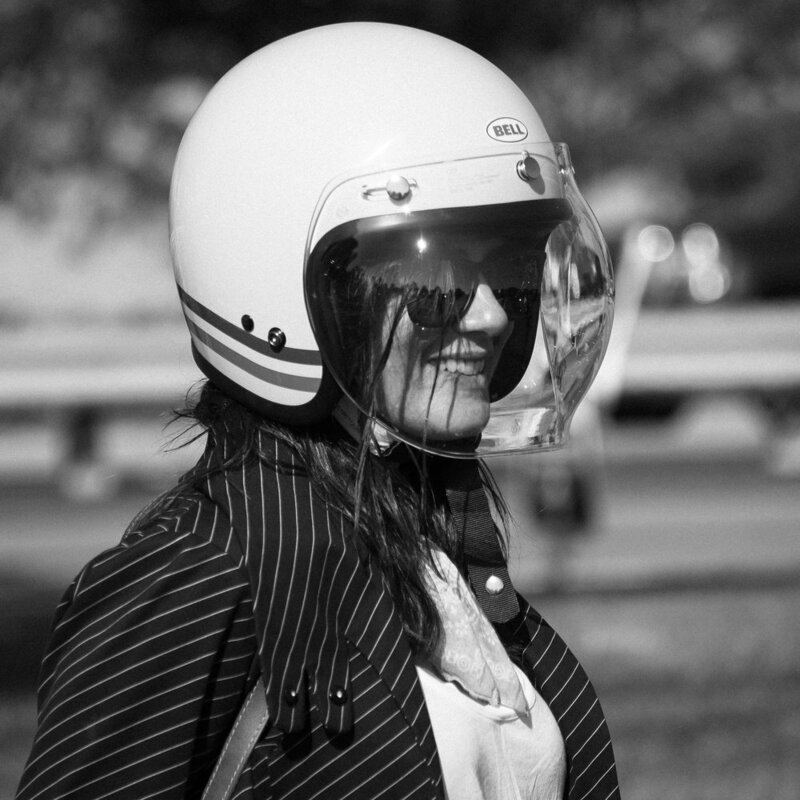 You’ll be pulling over a lot if you don’t have bluetooth in your helmet. If you have allergies you’d best take something non-drowsy, because there’s a lot of pollen and hay in the air. The smelltrack of your ride will be earthy notes of cows and corn. It fits in well with the countryside views. Silos even in town—just off Cheapside Street. Heading out from Philadelphia, we took backroads to Conshochoken, where we picked up PA 23 West, and wound our way eventually to US Route 30. The first sighting of an Amish buggy was in Morgantown. Our purpose in heading west was to check out the 26th Not Summit Point Scooter Rally in Gettysburg. 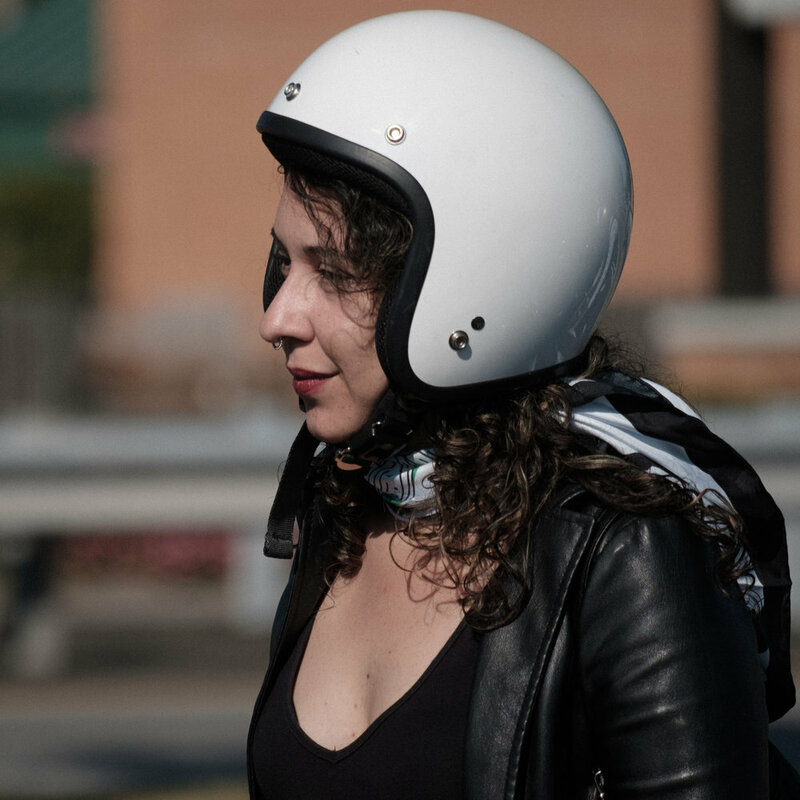 A major happening in the scooter community, the three day event draws mods from D.C. to Canada and points in-between for a weekend of camping, riding, and parts-swapping. It was a beautiful weekend, and the agricultural air was enhanced with the blue smoke of vintage two-stroke scooters zipping around the campground. NSP was a great reason to explore some amazing backroads during one of the best parts of the riding season. 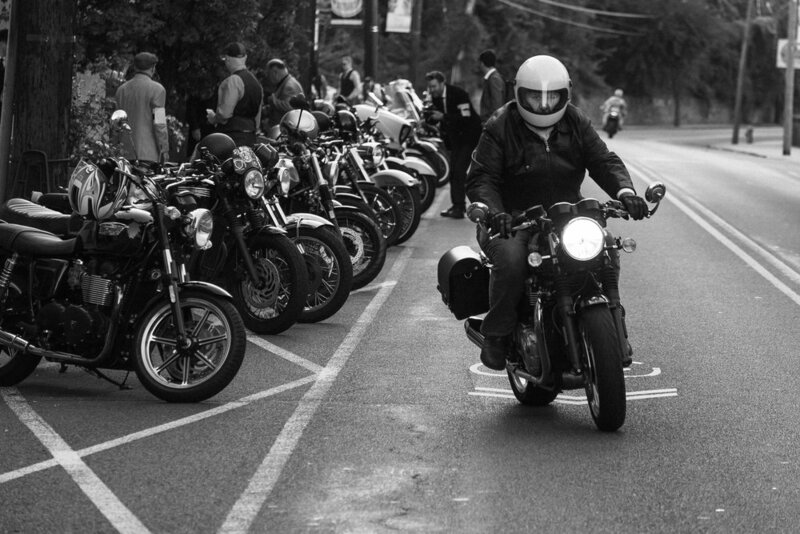 It's always good to see anyone in the two-wheeled community, and it was a bonus that The Troubles of the past seem to have been laid to rest. Or, at least this one time, the mods found it in their hearts to allow a rocker into their midst to check out all the fun that can be had on a scooter. Viva Vespa! An epic adventure to buy a new motorbike. A great event in Greenpoint, Brooklyn. We head to Biarritz, France.